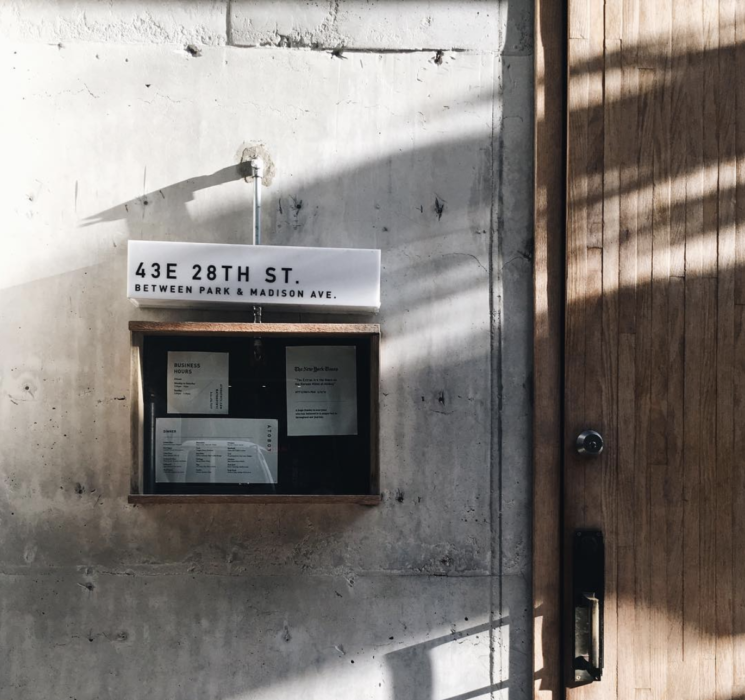 Located behind an unassuming door between Madison and Park you will find Atoboy, and you would be forgiven for not recognising that behind the slim and darkly tinted window there lay a restaurant. But Atoboy doesn’t need the extra promotion of a flashy store front – the food speaks for itself. The Korean-inspired small plates and stark interior resonate, providing a dining experience which, much like its storefront, is subtle but thoughtful. The more friends you can wrangle, the more you will benefit from this experience. The menu set-up is simple. Each diner selects three dishes ($42USD for each person), one from each level of the menu, served with your choice of rice and a selection of ever-changing kimchis. As these dishes are designed to be shared (even though you might resist upon tasting), the larger the number of friends, the deeper you can delve into the intriguing menu, which is sprinkled with ingredients which will surprise even the most experienced of palette, such as jicama, doenjang, and samjang. First came the Beef Tartare, which was a rich, Korean take on a well-known classic, along with the Yellowtail, served under a cover of shaved ice. The contrast between the two dishes provided a dramatic beginning to the meal. The richness of the tartare, melting in our mouths, being cut by the ice cold freshness of the yellowtail. We would soon learn that these underlying contrasts would come to be the nuance of the meal. The second course was served and we were immediately in awe of the Corn, and the Egg dishes. 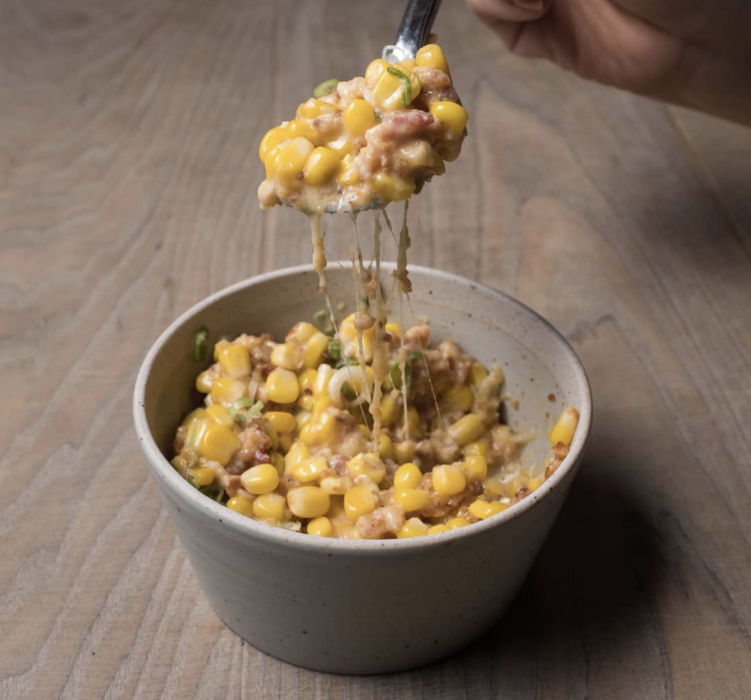 The Corn was bursting with flavour, a dish recognised by my palate yet elevated by the addition of taleggio cheese, oozing from the corn as we dug our spoons in and contrasting perfectly with the salty, crispy bacon. The Egg was also enticing, but in stark contrast to the corn, something not easily recognisable at all to those not familiar with Korean cuisine. A creamy egg custard served with sea urchin, puffed quinoa and seaweed flakes, each bite was a combination of delight and intrigue. The last dishes to be served are the Octopus, and Lamb. We cannot stress enough how excited we were considering the quality of the dishes that preceded, and we were not disappointed. The Lamb, with Gochuang, Spinach and Perilla seed, was a little daunting to approach without a knife or fork, until we realised it was able to be sliced with a spoon. The Octopus, served with Chorizo and a tomato based sauce, was both crispy and tender. Although full, and content to the point of glee, we weren’t able to resist the offering of Korean Fried Chicken ($21), served with your choice of spicy peanut butter or Gochujang sauces (we asked for one of each, please and thank you)! This chicken is marinated in brine for 8 hours, coated with 8 spices, and fried in a garlic crumb. The crumb is light and airy, and the chicken itself is tender, with enough flavour that it should be savoured sans any dipping sauce. However, the allure of the gochujang sauce, which is a traditional spicy Korean fermented condiment, is hard to resist and definitely recommended. You will be hard-pressed to choose a favourite dish amongst the menu at Atoboy. They expertly take dishes you might think you recognise and allow you to discover them anew with a Korean twist, or else take you somewhere completely new entirely.